Nkosi Grasdakke is a Pretoria based company covering the repair, maintenance and buiding of new thatch roofs in the greater Gauteng area. Our vision at Nkosi Grasdakke is to be a successful business which is managed in an efficient and professional manner, conducting our business in a way that enforces honesty, fairness and trustworthiness. Our workmanship and product quality as well as the level of our services must satisfy our clients far beyond their expectations. Meeting our obligations towards our employees by providing them with quality training and motivation. This leads towards job satisfaction and growth thereby building a committed and highly skilled staff compliment who delivers workmanship of the highest standards, resulting in quality products and excellent client services, in a sustainable manner. Nkosi Grasdakke will continuously endeavor to be chosen as the preferred thatching enterprise in the thatching industry in Gauteng and surrounding provinces, delivering continuous workmanship of the highest standards and excellent quality to all our customers from the smallest private clients to the biggest corporate clients. Our product quality and the level of our service must be such that it satisfies our clients beyond their expectations. This will be achieved by providing top quality work of the highest standards and excellent client services, at all times. Proper supervision is of utmost importance to the successful execution of any project and thus a very critical part of our approach to project management in our business. We pride ourselves from previous projects, whether it is from recommendations or from returning customers we always afford the same professionalism and quality to all of our clients. Working in the time honored tradition of the English and Dutch Master Thatchers, we pride ourselves as being professional thatchers, not simply packers of thatching materials. Thus, ‘quality’ remains the cornerstone of every single thing we do. 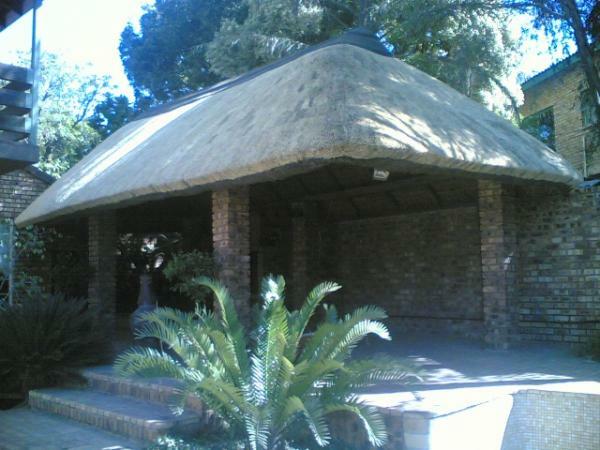 Thatching creates a relatively low cost means of doubling up on your accommodation. The required pitch of a thatched roof easily enables you to utilize loft area that would otherwise have been wasted. Due to our large portfolio and experience gained over the years, we are able to assist with numerous practical ideas and designs that are fresh and unique.